Carestream Dental is redefining panoramic imaging with the new CS 8100—the sleek and simple panoramic unit that’s ideal for everyday use. Blending advanced, sophisticated technology in an extremely simple and compact system, the CS 8100 makes positioning easier, image acquisition faster, and higher image quality more accessible. Simply put, it’s exactly what you need to streamline your work ow, improve usability, and make more accurate, real-time diagnoses than ever. With its intuitive interface and easy-to-use imaging software, the CS 8100 makes exams quick and simple. Preset programs and automatic exposure settings reduce errors, while clear instructions help position the patient correctly. 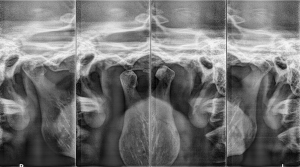 Plus, multiple anatomical programs adapt to your patients’ jaw morphology for more accurate results. As Carestream Dental’s most successful 3D unit, the CS 8100 3D is now available with an optional cephalometric imaging module. A multi-functional, 4-in-1 imaging solution, the new CS 8100SC 3D blends award-winning 2D panoramic technology, powerful CBCT imaging and 3D model scanning withthe world’s fastest cephalometric scanning capabilities. In turn, you gain access to the tools you need to build your practice through a single imaging system that covers virtually all of your everyday imaging needs. What makes the CS8100 Different? From an imaging standpoint, the CS 8100 features an Active Pixel CMOS where traditionally CCD was used. This allows the capture of much more data during the acquisition phase and provides more flexibility while ensuring a constant image quality. From a mechanical standpoint, the unit infrastructure is made of aluminium foundry that is robust yet lightweight, keeping the overall unit’s size dramatically reduced. The column is now telescopic and has a variable speed for an improved comfort. From an X – ray generator perspective, the tube head is made of a metallic casing. The 90kV high frequency generator offers a maximum flexibility of use, while its U – shape, which is placed in a horizontal position, opens up the patient area. From a gantry motion standpoint, a new technology well known under the name “induction motor” operates the rotation silently and with no vibration. This has a direct impact on a better patient experience and also on image quality. 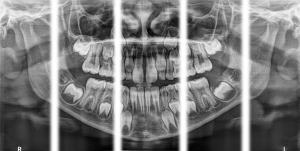 A complete range of panoramic programs, including a pediatric program, segmented bitewing, TMJ and maxillarysinus views, to cover all of your routine needs. Powerful filters to adjust contrast and sharpness with one click. The CS 8100 covers all of your everyday panoramic exam needs. 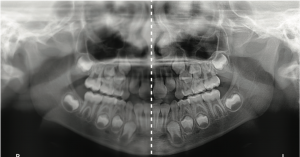 From standard panoramic images to segmented pans, TMJ, and maxillary sinus images, the CS 8100 covers all of your everyday panoramic exam needs.